Manipal Multidisciplinary Developmental Research Centre (MMDRC) of Manipal Centre for European Studies is organizing a one·day workshop on Emerging Areas in Ecological Research and Sustainability on May 16, 2011 from 9 am to 4 pm. Today, we are confronted with growing evidence that contemporary modem society is not sustainable. Industrialization, the dominant development paradigm of the past two centuries, is not a sustainable approach to development of either natural or human resources. Industrial systems are inherently extractive, exploitative, and are ultimately dependent upon finite stocks of non-renewable resources. Industrial systems eventually will degrade and deplete the resources upon which its productivity depends, and thus, are not sustainable. Industrialization is the physical manifestation of a specific philosophy of economics, a specific concept of science, and a specific worldview. Even the health of human beings has been compromised enough in this pursuit of wealth. Thus, if we are to develop a sustainable society, we must be willing to re-examine the conceptual foundation upon which our current unsustainable society is built. The objective of the conference is to explore different areas of research in different aspects of environmental engineering, environment and health, environmental policy and environmental management. 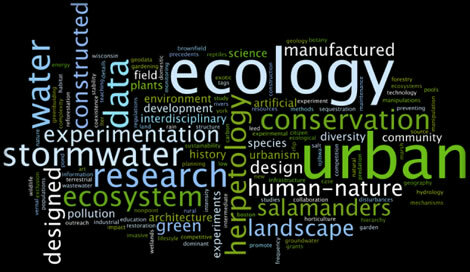 As limited number of seats are available, faculty members, research students and postgraduate students across disciplines interested in ecological research may register for the workshop by registering before May 9, 2011. Send a mail to office.mces@manipal.edu with the details of your name, designation, department, institution, and contact details. For details, you may contact 2923053.